Accelerate 3 Coaching welcomes another National Champion into the fold! Sarah continued her winning ways by smashing the rest of her age group by 1:25 and finishing third overall at the Trisports.com Halfmax National Championship in Myrtle Beach, SC! Due to e. coli in the water the RD was forced to cancel the swim race morning. Athletes lined up for the TT style start. Every 3 seconds an athlete raced from waters edge to T1, grabbed their bikes and headed out on the windy bike course. Sarah laid down a perfectly executed bike split putting 5 minutes into (AP188/NP190) second and third place. With a nasty blister forming under the ball of her foot, she did enough early in the run to move into her age group lead and stay there with little pressure from the girls behind her. Sarah brings home the fourth or fifth National Age Group title won by Accelerate 3 Athletes. 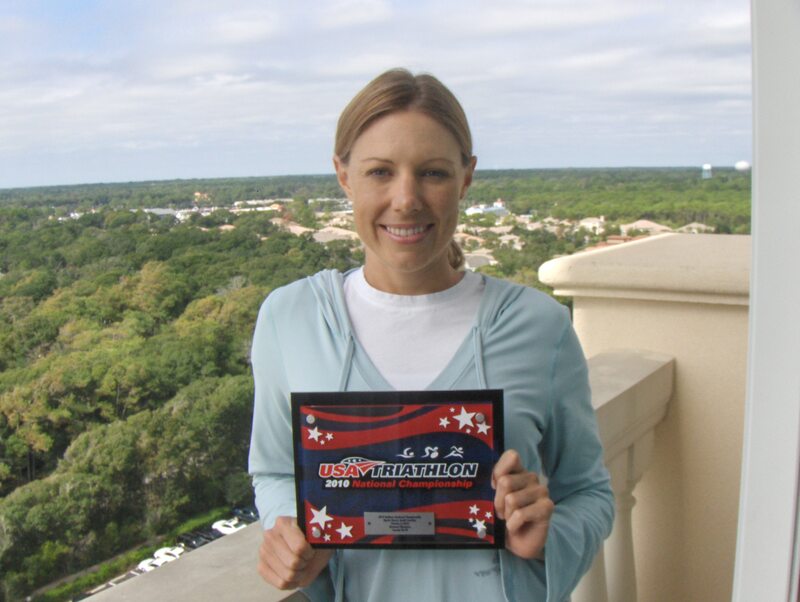 This entry was posted on October 3, 2010 at 11:05 am and is filed under Triathlon with tags Accelerate 3 Coaching, bike, blisters, Running, Triathlon, USAT Halfmax NAtional Championships. You can follow any responses to this entry through the RSS 2.0 feed. You can leave a response, or trackback from your own site. Wow! Say congratz to Sarah! That is total awesomeness!! It kinda bums me out knowing that your girl makes more power than I do. Good work. Congrats! Did you race as well? She’s way too cute for you.